insight into British naval history. The star attractions of the dockyard are a series of three historic warships, the Victorian-era HMS Gannett, the WWII destroyer HMS Cavalier; and the cold war submarine HMS Cavalier, and visitors can get a glimpse into life at sea as they explore on-board. Additional highlights include the historic Ropery and Smithery; a collection of RNLI lifeboats; the aptly named BIG Space, which showcases the largest of the dockyard’s artifacts; and a series of exhibitions focusing on the dockyard’s history, its use by the Royal Navy and its role in WWII. 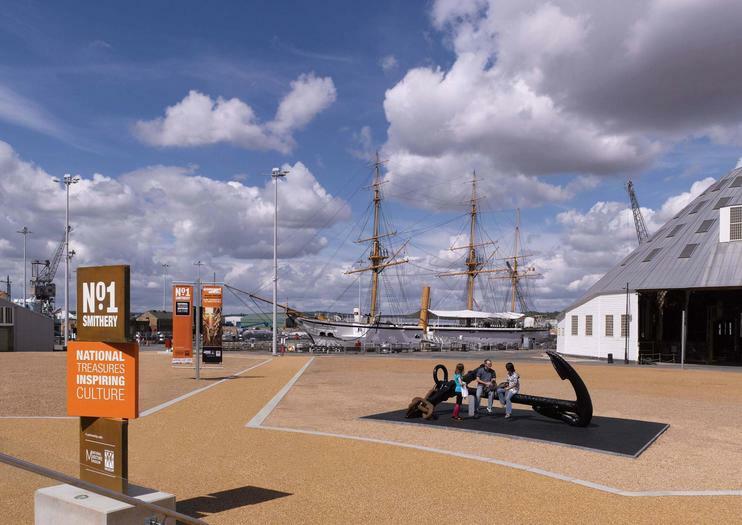 The Historic Dockyard is located on the east bank of the River Medway in central Chatham and is open daily from 10am to 4pm in winter or 6pm in summer. Adult admission is £24. Get a behind-the-scenes look at the 'Call the Midwife' set on this 1.5-hour tour in Chatham. Follow your midwife guide on a walking tour around the exterior filming locations, including the historic Dockyard Chatham.